Heated garage parking is worth $35,000 alone! 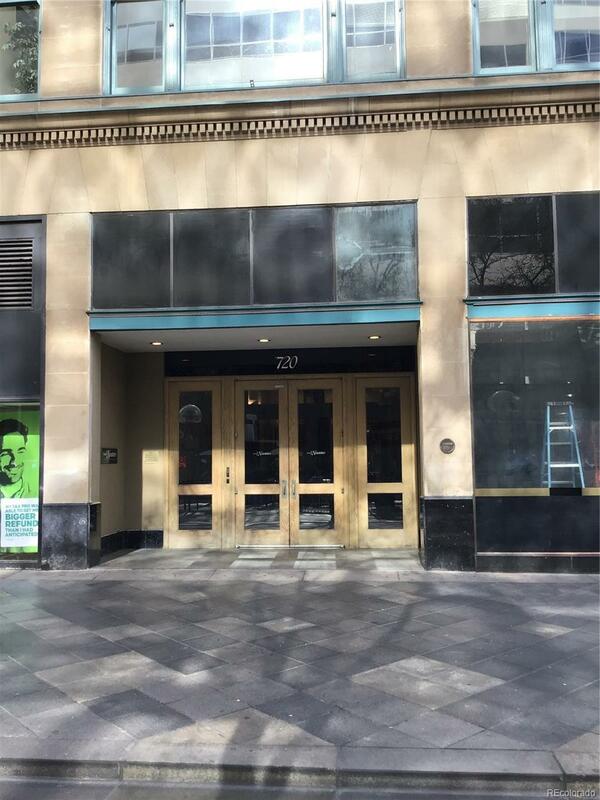 Great opportunity to own a 1 bedroom condo right off 16th street mall. Within walking distance to everything or jump on the mall shuttle or light rail to take advantage of everything downtown Denver has to offer. Condo has been updated with hardwood floors throughout, 42" cabinets, granite countertops and stainless steel appliances. Separate bedroom has murphy bed for extra space. "Loft" area above bathroom even fits a queen size mattress or use for extra storage. Building has laundry on every floor, game/TV room, fitness facility, storage room and bike storage in heated garage, etc. HOA covers most expenses including high-speed internet, all you have to pay for is electricity.